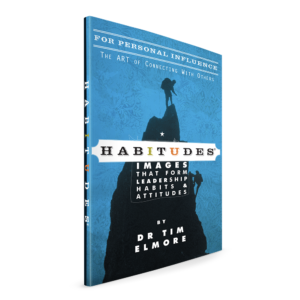 This latest addition to the Habitudes® series is a unique resource that defines the type of young leader who is effective at transforming communities and having a positive influence on others. 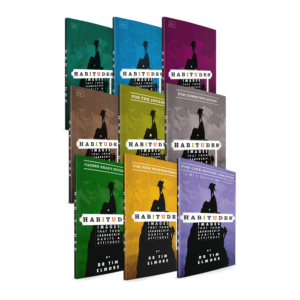 The leadership principles in this resource help shape a leader who is both instructive and inspiring. More than just behaviors, they represent an entirely different style and approach to leadership. When practiced, your leaders and teams will become the best version of themselves. Lead in a way that energizes and inspires team members. Listen and understand others through empathy and compassion. Provide a safety net that accelerates productivity on the team. Offer hard feedback that elicits more effort rather than hurt feelings from others. Mobilize team members to become the best version of themselves. Today’s world is full of noise, distractions, and poor leadership examples, making it increasingly difficult for teens and young adults to develop into effective leaders. 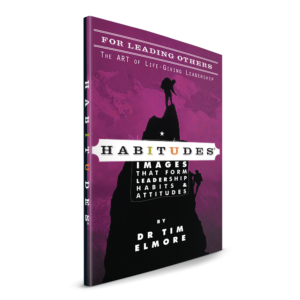 In this book, Tim Elmore illustrates the timeless principles that make leaders both inspiring and empowering. Too often, we not only fail to develop these kinds of leaders among our students, but we fail to practice these principles ourselves. This book defines the ultimate profile of what Elmore thinks a leader should look like. Through memorable images — each with a series of engaging stories, self-assessment questions, and thought-provoking discussion topics — students learn, internalize, and apply important leadership principles that will help guide them for the rest of their lives. Why Use The Art of Transformational Leadership? Leverage the role of gratitude on the team. Stand out as humble, servant-leaders in a power-hungry world. Communicate a vision in terms that others can easily grasp and remember. Habitudes for Life-Giving Leaders is available in a Faith-Based Edition for Christian schools, colleges and ministries. “Habitudes for Life-Giving Leaders with its focus on servant leadership comes at a critical time for student and adult leaders everywhere. It features stories and principles for leading more effectively in a ‘selfie’ world. Once again, Dr. Elmore weaves colorful stories and metaphors into dynamic, relevant lessons and breaks ‘leadership’ into bite-sized chunks students can (and will) start using in their lives right away.